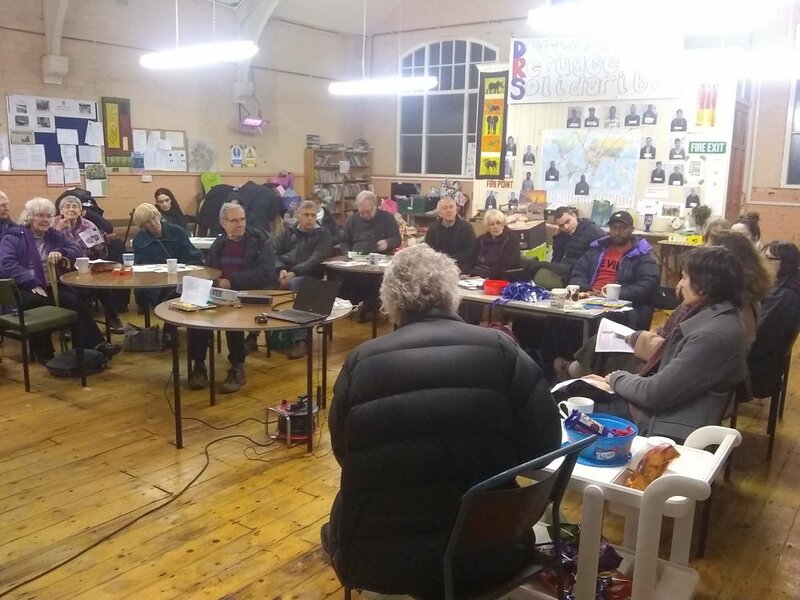 Last night DRS were delighted to welcome Derby War and Refugee Forum to St Anne's for informative talks by Janet Fuller, Steve Cooke and Bob Davies about various aspects of the refugee crisis and the work they do to support refugees and asylum seekers. The feedback has been really positive and several members of the audience expressed an interest in getting further involved with DRS. Thanks to Moyra Jean, as ever an attentive "domestic backdrop," and to everyone who who organised and attended.